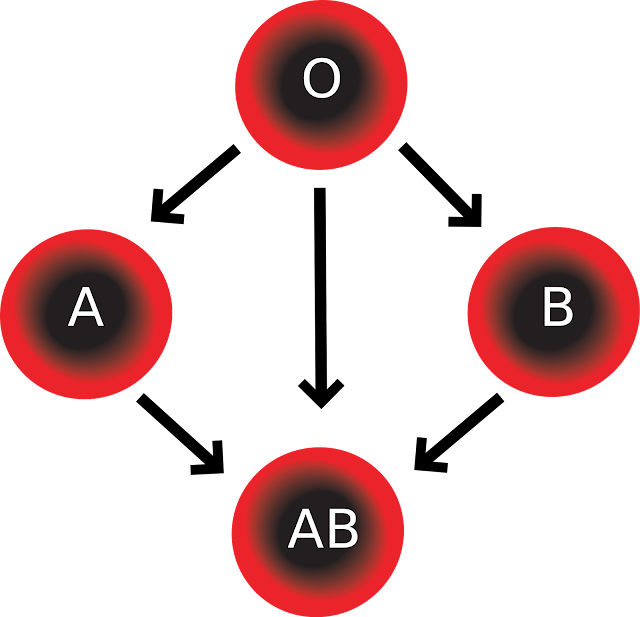 There are four major blood groups (A, B, AB, and O), which were discovered by Austrian scientist Karl Landsteiner in 1901. From those groups, the eight most common blood types are derived (A+/A-/B+/B-/AB+/AB-/O+/O-). Although there are rare exceptions to these categories that affect certain individuals with blood disorders, the vast majority of people fall into one of these eight types. The blood type that a person has is inherited from his/her parents, and a person who is in need of a blood transfusion must be given blood from someone with a compatible blood type. How Is Blood Type Determined? Determining one’s blood type can be done with a simple blood test in the doctor’s office. The physician would then inform the patient of his/her blood type once the results are received. Should an Individual Be Responsible for Knowing His/Her Blood Type? While there is no law or regulation that requires each person to know his/her blood type (as this would be ridiculously impractical), it is highly recommended that a person take the steps needed to become aware of his/her type. In the event of an emergency, health care professionals will use extreme caution to ensure that a patient is given a compatible blood type for a transfusion. Yet, as the old adage goes, “knowledge is power,” so knowing your blood type certainly cannot hurt. And, when it comes to everyday life, asking your doctor about blood type can open the door to an important discussion about heart health, high blood pressure, and any inherited risk factors you might have. Can a Person Give Blood to Anyone or Receive Blood from Anyone? Blood donation and receipt is another reason why it is important to know your blood type. The percentage of people who share your type differs depending on what type you have. For example, the most common blood type among people in the United States is O-positive while AB-negative is one of the most rare. People with type O-negative blood are known as “universal donors” because these people are able to give red blood cells to recipients of any blood type. The blood banks encourage every eligible donor to give blood, regardless of type, but those with Type O blood (either O-positive or O-negative) and those with especially rare types, such as AB-negative, are especially encouraged to give. One pint of whole blood can help save the lives of up to three people, so determining your blood type and giving blood is a simple act that can have a profound impact. Additionally, it is also possible for a person to give an “autologous” donation, which means that someone can donate his/her own blood in preparation for a medical event such as a major surgery. In fact, pregnant women are often encouraged to give autologous donations, in the event that there are complications during the pregnancy or delivery. What Happens if a Person Receives the Wrong Kind of Blood and How Do Doctors Prevent This? Blood contains antigens (either A, B, or both) that are present on the surface of the red blood cells. As the Red Cross points out, “antigens are substances that can trigger an immune response if they are foreign to the body. Since some antigens can trigger a patient's immune system to attack the transfused blood, safe blood transfusions depend on careful blood typing and cross-matching.” In a trauma situation, before medical professionals have the opportunity to review one’s medical file or if the patient is unconscious, O-negative blood is generally administered because it is the only blood type that can be given to any recipient. Because this is the case, there is often a shortage of O-negative blood, and individuals with this blood type are in high demand as blood donors. Is there Some Sort of Documentation that I should Carry with Me? A person's blood type is almost always a part of his/her medical file and can be accessed by health care professionals. However, those who donate blood regularly are often provided with a blood donor card that indicates their blood type. Keeping this card in your wallet or some other easily accessible location can be helpful in the event of an emergency. And, asking your health care professional about your blood type at your next appointment is a step well worth taking.